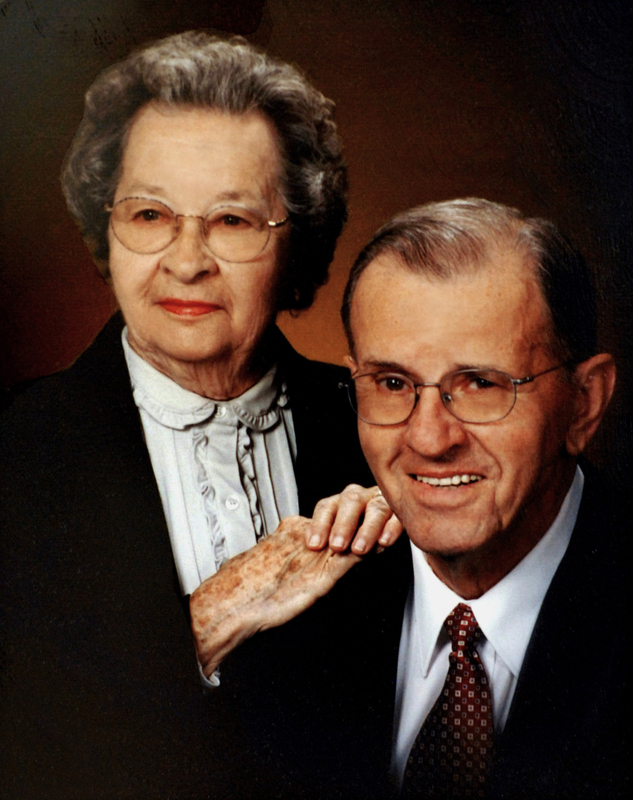 CARBONDALE, Ill. — A Du Quoin couple remembered for their devotion to SIU Carbondale and the SIU Foundation will benefit students in the College of Agricultural Sciences for years to come. A significant estate gift to the SIU Foundation from Harold and Nora Kuehn will fund scholarships for students pursuing degrees in plant and soil science and animal science. Harold, an Elkville native who received a bachelor’s in agriculture from Southern in 1951, became the first President of the Ag Alumni Society of SIU. He served on the board of directors for the SIU Alumni Association, including one year as president, 1984-85; and was a SIU Foundation board member for more than a decade, residing as its president from 1991-1994. Harold received distinguished service awards from both organizations, in addition to the Alumni Achievement Award from the College of Agriculture in 1996. He was on an advisory council to three SIU presidents. A U.S. Navy veteran of World War II, Harold was a career farmer who produced grain and livestock; he was recognized with an Illinois Master Farmer Award. He was president of the Illinois Soybean Association in 1968 and one of its founders. His leadership went well beyond the state of Illinois. Harold traveled to 49 countries doing market development work for the Foreign Agriculture Service in USDA and American Soybean Association, including the first trade mission to Russia in 1972. He was the American Soybean Association president at the time. Harold was a retired athletic official with the Illinois High School Association. He was also a longtime servant to the Board of Directors for Marshall Browning Hospital in Du Quoin. The Kuehn Medical Center opened December 2009 in Du Quoin. Nora worked at Croessman Wholesale Co. for 25 years, before retiring and selling the business to two of her employees. She was a member of First United Methodist Church in Du Quoin. She often accompanied Harold to university events, and particularly enjoyed baseball and basketball. The Murphysboro native traveled to 38 foreign countries during the time of her husband’s service to agriculture. Nora was an active member of Beta Sigma Phi (Chapter Illinois Zeta Masters) since 1938, and her hobbies included ceramics, golf and swimming. Roger Neuhaus, 1990 SIU Carbondale graduate, met the Kuehns when he worked with the SIU Alumni Association staff. Neuhaus says the two complemented each other well. “Harold’s gentle manner and diplomacy impressed me from the start. In particular, in the face of things that were perceived as crises for the organization,” Neuhaus says. “One of the things I loved about Nora is that you always knew where you stood with her. She was the antithesis of Harold; which is what made them a great team. Harold and Nora Kuehn were married 46 years before they passed away. Paul Conti, an SIU Foundation board member and retired executive in Glen Ellyn, says the Kuehns had a longstanding commitment to Southern. Conti, like Kuehn before him, has served on both the Foundation and Association boards. “I followed Harold on both boards so we spent a lot of time together. It was through the work of Harold and others that the Association and Foundation boards became as strong as they are today,” Conti says. “Harold helped enhance our alumni relations and fundraising efforts. It transformed us from being more than a quiet, bucolic organization in southern Illinois.